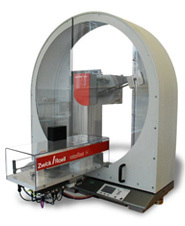 Zwick Roell is a world-leader in static testing and fatigue strength testing systems. We specialize in innovative systems and components in micro and nano-positioning, photonics and laser-technology. Special machinery and technical software for measurement and testing equipment and automation equipment. 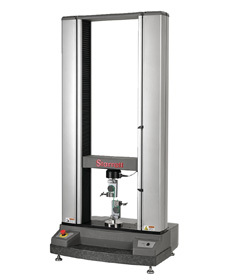 We are a leading manufacturer and system provider of high-precision, tactile and nontactile production metrology. Our modular spectrometers and complementary technologies enable you to move beyond traditional limitations. Leica Microsystems is a world leader in providing innovative microscopy, camera and software solutions for imaging and analysis of macro-, micro- and nanostructures. The specialist for optical measurement technology. Metrolux is a renowned provider of optical mesurement technology for the characterization of laser beams and optical systems. We offer a broad portfolio of industrial temperature measurement solutions for the harshest, high-temperature industrial environments in manufacturing. Avantes is the leading innovator in the development and application of fiber optic spectroscopy instruments and systems with over two decades of experience developing customer-defined spectrometer configurations. High-precision drilling, reaming, milling, turning, cutting and threading tools as well as process monitoring applications. Discover the newest laser cutting and welding solutions, innovations and proven products for laser material processing and optical measuring technology. Our core operations focus on the design and manufacture of precision Inclinometers, Accelerometers and Load Cells. We are experts in illumination lasers based on diode laser technology. Our laser lighting is used in many demanding high-speed imaging and machine vision applications. We offer versatile components, products and systems for end-users of R&D applications as well as for integrators of industrial monitoring systems. We are the first address for Dye Laser, Laser Accessories and Optomechanics. Cobolt develops, manufactures and supplies diode-pumped solid-state lasers (DPSSLs) and Diode Laser Modules in the visible, invisible and near infrared spectral ranges. Easy-Laser® is one of the world’s leading manufacturers and suppliers of laser based measurement and alignment systems. 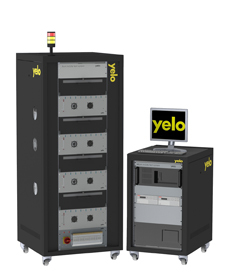 Yelo is a leading manufacturer of automated test equipment for the photonics and electronics industries providing laser diode testing, PCB and product functional testing. 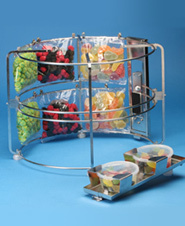 is one of the leading companies in the gear industry. On the background of many innovations in the areas of calculation, production, and measuring technology, Klingelnberg sees itself as a leader in this sector. “one stop shop“ for intrinsically safe measurement and calibration, mobile devices (tablets, smartphones, PDAs) designed for use in harsh and potentially hazardous environments. Lasers, Terahertz & High frequency systems. We not only make game-changing lasers and light sources, but also rethink all kinds of other wave technologies including terahertz imaging as well as high-frequency emission and radar. 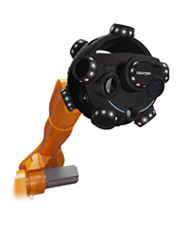 Opto offers various compact imaging modules for system integrators and machine manufacturers. 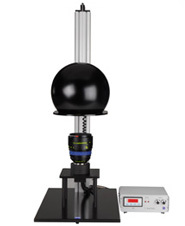 The high-resolution optical-illumination-camera-electronic solutions are ideal for use in measuring machines, testing devices, roundness testing machines or directly in the production line. Cubert provides real time spectral imaging in various application fields such as remote sensing, life science, machine vision etc. SATIR is one of the world’s leading civilian thermal imaging system manufacturers. We are an innovative company specializing in test and measurement, video signal capturing and industrial monitoring applications. We develop, manufacture and market cutting edge portable 3D measurement and analysis technologies that increase productivity. We develop and produce sensor telemetry measuring systems. 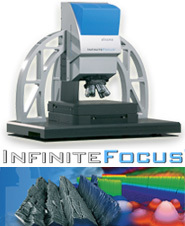 Manufactures and produces systems for high speed industrial image processing and inspection tasks. Innovative laboratory equipment, calibration systems and we supply a complete lineup of measured data acquisition systems. 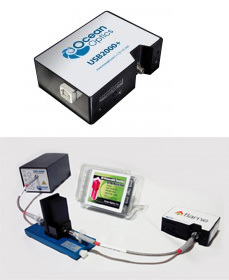 Sarspec’s product range includes CCD-array Spectrometers, Light Sources, Sampling Accessories, Optical Fibers and Optical Fiber Probes providing solutions for measuring Absorbance, Reflectance, Transmittance, Irradiance, Color, Raman, Fluorescence and other Luminescence forms in the UV/Vis/NIR wavelength range. 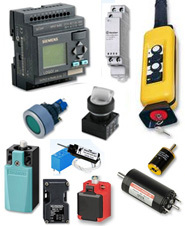 The leading worldwide independent supplier of condition monitoring solutions for rotating machinery.